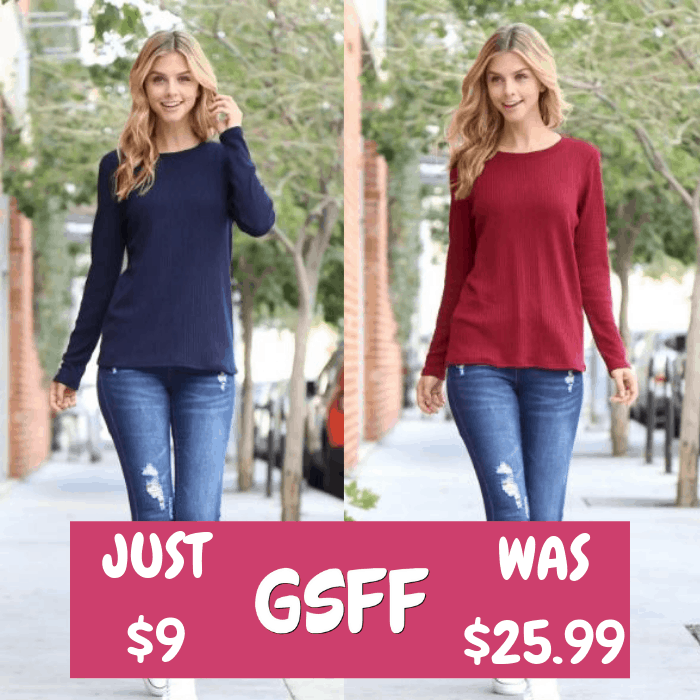 Solid Waffle Top Just $9! Down From $26! You are here: Home / Great Deals / Solid Waffle Top Just $9! Down From $26! This deal expires on December 31 only! Head over to Jane to score this Solid Waffle Top for just $9.99 down from $25.99! Shipping is $3.99 for the first item and $1.99 for each additional item. You’ll be cute and cozy in this waffle-knit top, whether you style it alone or as a comfy layer. It features a round neckline, long sleeves, and a relaxed silhouette. Pair with a variety of bottoms for various styling options.